Successful content marketing gets the right message to the right people at the right time. It means that you are consistently providing relevant value that attracts your target audience. Your goal is to get your potential customers to know, like, and trust you. Your content needs to be what your audience wants to read or see. 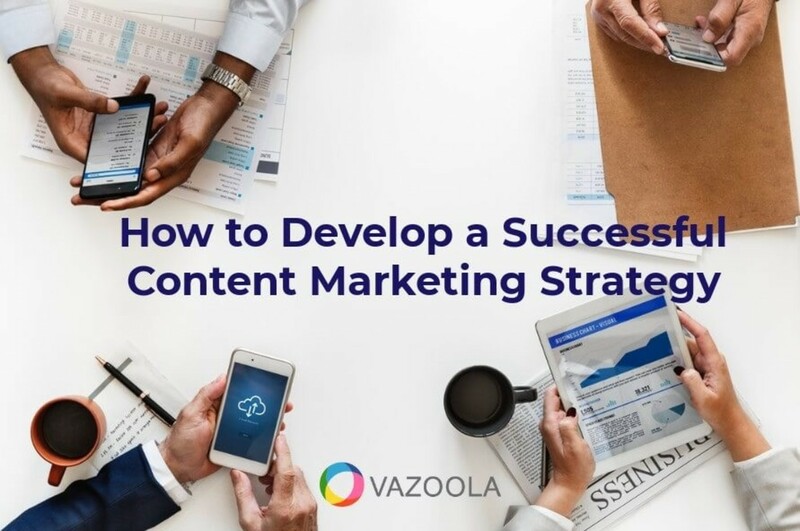 Given the importance of having a strategy in place, it is surprising that research from MarketingProfs and the Content Marketing Institute showed 63% of businesses don’t have a documented content marketing strategy. Businesses that develop and follow effective content marketing strategies see conversion rates almost six times higher than those who don’t. Also, they are able to achieve 7.8 times higher unique site traffic. What types of content will you create to reach them? How will they benefit from your offerings? Create a basic outline of the general characteristics that describe your target market. Many companies have several targets also known as personas. The personas you develop should identify the unique interests, challenges, and goals for each segment of your target audience. You should also do some research to see who is currently interacting with your brand. Send out or set up online surveys to those already engaging and use the results to build your businesses' personas. Although it is less work to create content for a broad audience, most content doesn’t have universal appeal. It’s better to be more specific in your messaging so that it speaks directly to your target audience. Another way to understand your target audience is to research how they search for what you offer. See our post How to Do Keyword Research the Right Way. It is important that each piece of content targets one specific 2-3 word phrase. Compile your list of target phrases before you start writing. What can you do to make your content more appealing than the content of your competitors? Be creative and use color, humor, images, videos, graphs, or icons to get your message across. Too many words on a page are likely to turn off a reader. Because words are still essential, make sure to arrange them in an easy-to-read format. Use short sentences and bullet points to organize your content. Don't forget that a large percentage of people are reading on a mobile device where everything is stacked, and the screen size is significantly smaller than a computer screen. Try to publish new posts as often as possible and on a consistent schedule. Make your posts helpful, relevant, and valuable to attract new visitors and bring back existing readers looking for more information from you. For those who prefer listening to reading, podcasts offer a popular alternative. Some people use this type of content format to interview interesting people or engage in brand-relevant conversations. Although creating videos requires a more significant investment in time and resources than written content, it is 40x more likely to get shared on social media. It is certainly worth the effort to incorporate the use of video is some part of your content marketing strategy. Organizing your visual data in an infographic is more compelling and easier to understand than a lot of words on a page. Often used for lead generation, eBooks are more in-depth and longer than blog content. They are commonly used as a call-to-action at the end of a blog post to get more detailed information about the topic. The reader fills out a short form usually with name and email address in exchange for the download link for the eBook. When it comes to writing content, less is more. If you can “say” something in 30 words, don’t use unnecessary filler and force the reader to weed through 90. It will bore them, waste their time, and increase the chances they will abandon your content before getting to the part that might interest them. Don’t forget that you are writing for humans and not robots. Unless your content is in a scientific, medical, or educational journal, use everyday language to speak to your audience. You want them to be able to relate to your message and brand. Once you have determined your goals, gained an understanding of your target market, chosen the content types, and created the actual content, it is time distribute it and market it. Not enough time to create your own content? Did you know that you can purchase high-quality articles from our writers? Learn more about how to get content creators at your fingertips. Tell us more about your marketing goals.